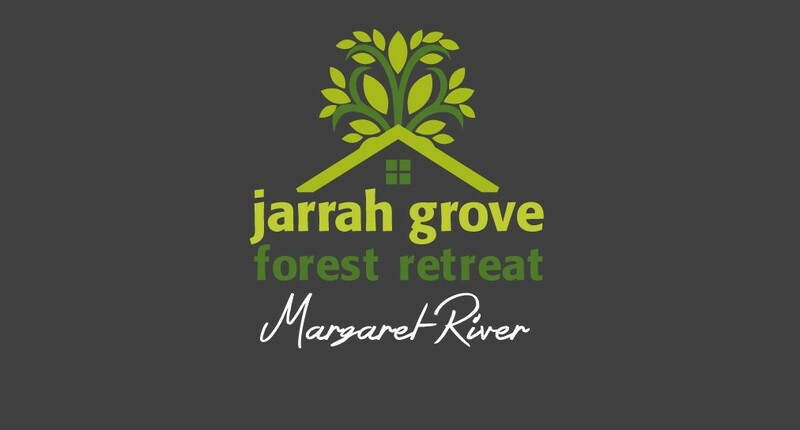 Jarrah Grove Forest Retreat is nestled within 86 acres of private forest, and ideally located 15 minutes from Margaret River with award winning local wineries and world famous surf beaches close by. Recently refurbished, these luxurious and contemporary self-contained chalets are beautifully positioned amidst stunning Jarrah, Marri & Karri trees and offer the perfect relaxing escape. Each one-bedroomed, air-conditioned rammed earth chalet is furnished to the highest standard, and has a fully-equipped and comfortable open plan living/kitchen area with a wood-fired stove for use during those chilly winter evenings. The carpeted king-sized bedroom is finished with quality furnishings and linens and the beautiful Italian tiled bathroom has a separate double rain shower and a two person bath tub set in an alcove overlooking the forest. Outside, you can sit back and relax on the secluded timber deck that overlooks the trees and wildflowers, listening to the native birds. Or immerse yourself in the hot tub under the stars. This truly is luxury in the forest where you can unwind and recharge your mind, body and soul. I couldn't fault Jarrah Grove Forrest Retreat! My husband and I stayed here for our honeymoon, and it is simply beautiful. I was impressed with how clean and well-equipped the place is. It's not even 10 minutes outside of Margaret River town center, which is perfect for exploring the area, but you wouldn't even know when you're at the retreat - complete serenity! Sam and Lee were a pleasure to deal with and I would highly recommend staying here. We'll certainly be back! Its dog friendly!! We stayed here and absolutely loved every second of it. The secluded environment was breathtaking. Waking up surrounded by large native trees and shrubs, the sound of native birds and the occasional wildlife spotting are just some of the reasons why I really want to return. The caretakers are amazing, helpful and very friendly! I have to add tho that phone reception is limited at times but still works. We just got home from a 4 night stay at Jarrah Grove Forest Retreat and can’t talk highly enough about this little treasure. The perfect getaway to get some much need RnR and recharge the batteries. The chalets are immaculate, spotless, private and had everything we could possibly need during our stay. We spent most of our evenings sitting in the spa outside enjoying the scenery and peace and quiet. We met one of the owners, Sam, during check in and check out and she was kind enough to have a chat and tell us a bit about themselves. Sam and Lee went out of their way to make sure our stay was perfect including a couple of Valentines Day surprises. I can’t thank you enough for the effort. The only thing I didn’t like about JG was having to eventually leave. Looking forward to returning very soon. Lovely peaceful experience, great bed and quality lodgings. Exceptional host . This place is pure luxury. Worth every cent! When leaving the Margaret River Visitor Centre head south along Bussell Highway through to Witchcliffe. After passing through Witchcliffe, turn at the first left into Davis Road. Continue along Davis Road for 7kms then when you see the blue accommodation sign stating (JG Forest Retreat) turn left into the property number 705 Davis Road, Rosa Glen 6285. Please ensure you do not follow any other tracks to our entrance (without seeing our signage) as Google Maps does seem to have a tendency to direct people the wrong way! - please use 705 Davis Road, Rosa Glen 6285 as the directional address - thank you. We operate a no refund policy if booking is cancelled within 7 days of arrival date and full payment will be charged unless accommodation is re-booked. For high season and peak periods ie (Christmas New Year Easter long weekends and special events) no refund will be considered for bookings within 30 days. Bookings cancelled outside of peak periods and prior to 7 days before arrival will be refunded or monies will be transferred to an alternative date. For cancellations within 7 days refunds will only be considered for nights subsequently rented. A cancellation fee of $100 will be retained on all cancelled or amended bookings.